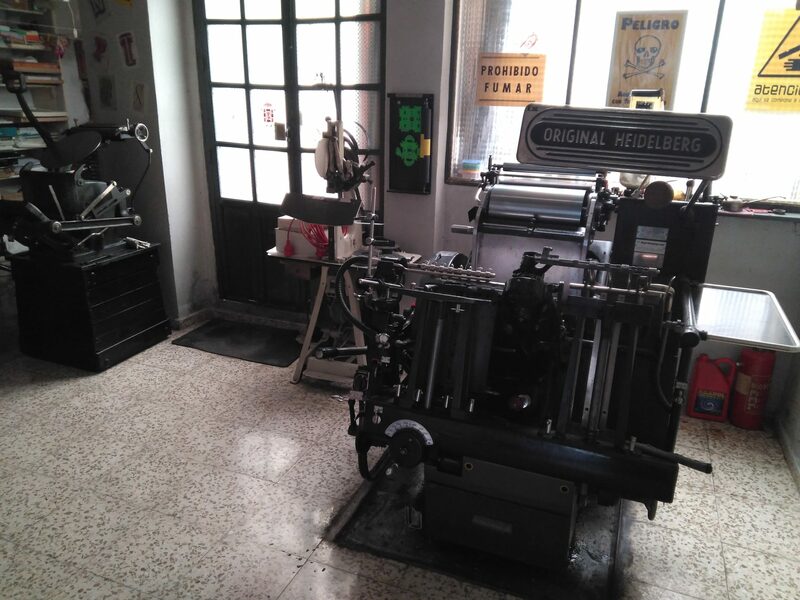 We are printing since 1963, of course not me, but my grandfather. My father followed him until now and I was introduced in the matter when I was teenager. I started printing thoughtfully a few years ago. 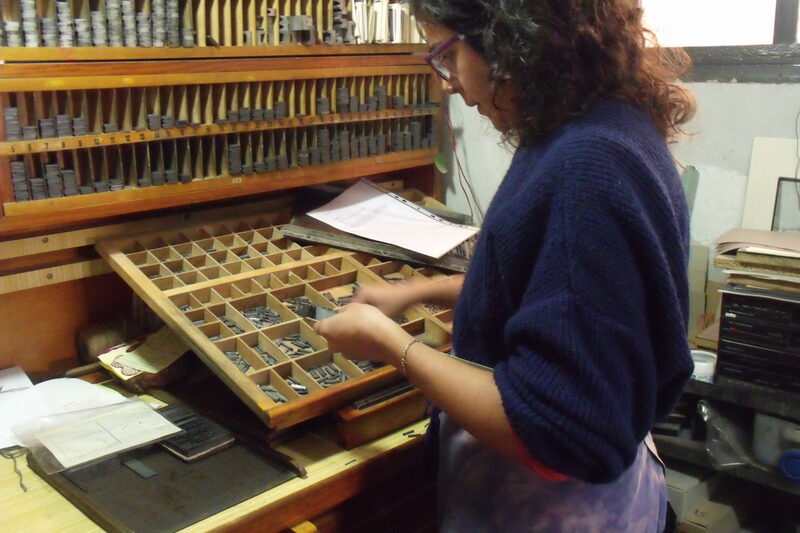 Probably my first encounter was when I was a baby and I visited my grandfather’s letterpress studio for the first time. I grew up between chivaletes and lead type (I hope I didn’t eat any while I played). 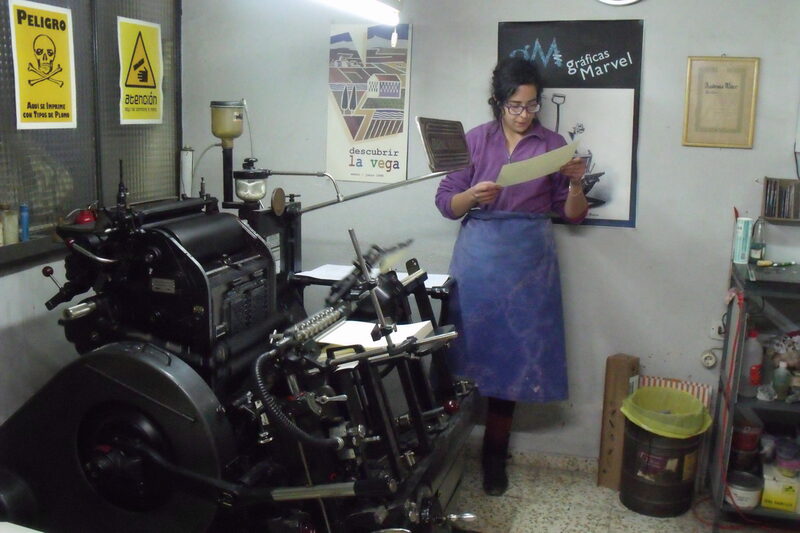 The first letterpress work that I did by myself was a book: Expresión Tipográfica. This book was the best way to learn about printing and about the collaborative art, because more than one hundred people participated in it. I learned in the family studio: Gráficas Marvel. For all I know, I have to thank my father Emilio and my uncle Paco, also a printer. The power of not dirtying my hands and keep the paper unspoiled. Always with others, much more fun. Clarity and predisposition for real communication. I always have ideas, then I have to sift through them which will be the best. This night I can choose between Gloria Fuertes’ poetry and Galeano’s hopefull words. A manual Minerva Boston and an Original Heidelberg of 1970. When I start to think about a print, while I am printing it and especially when it is finished. Not to be able to get rich with my work. I want to use letterpress to offer people a way of expression and communication with others. I start work early in the morning and I finish late in the afternoon.